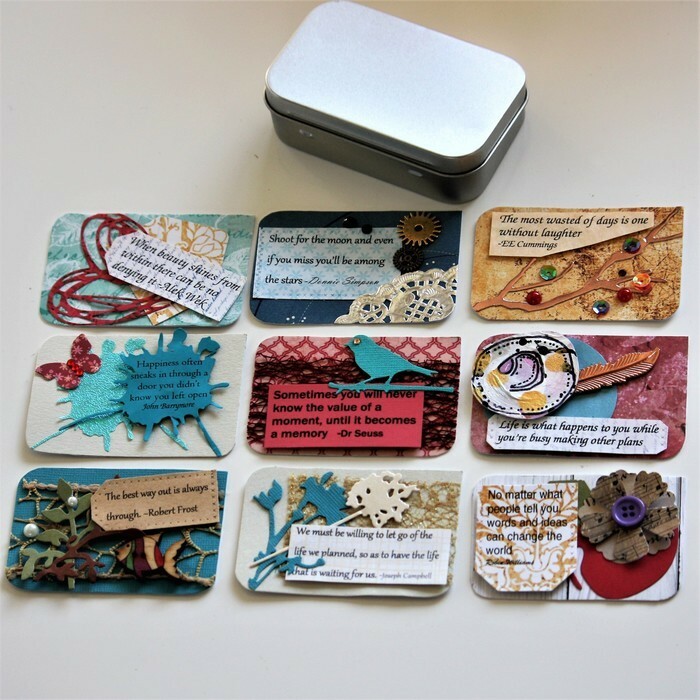 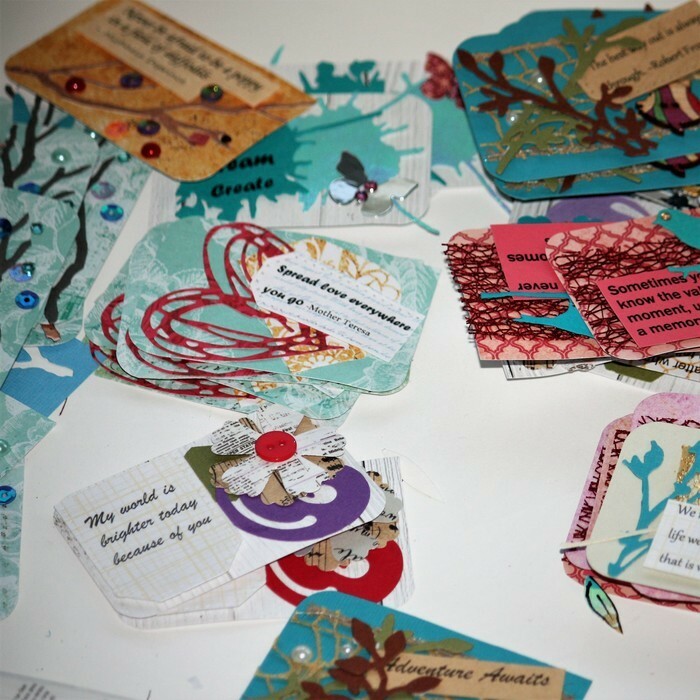 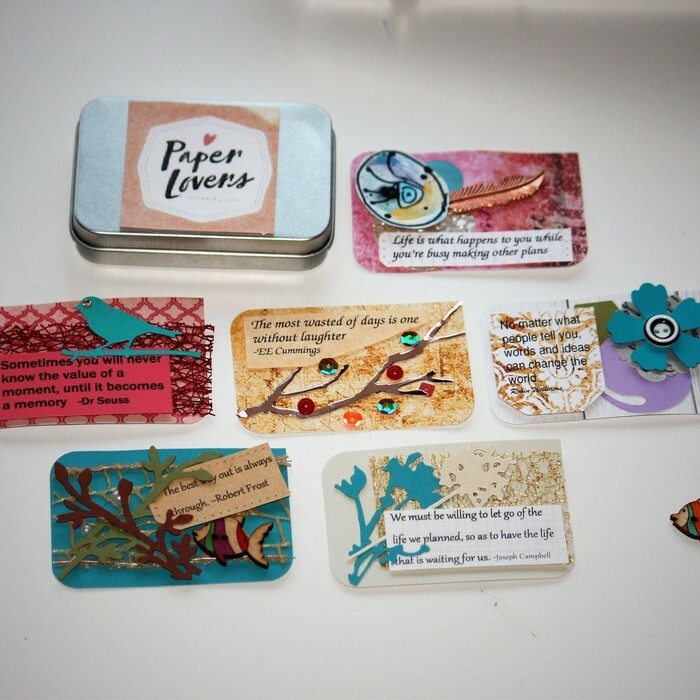 This beautiful Paper Lovers Small Tin of Inspirational Cards will strengthen and soothe the wounds of a tough day. 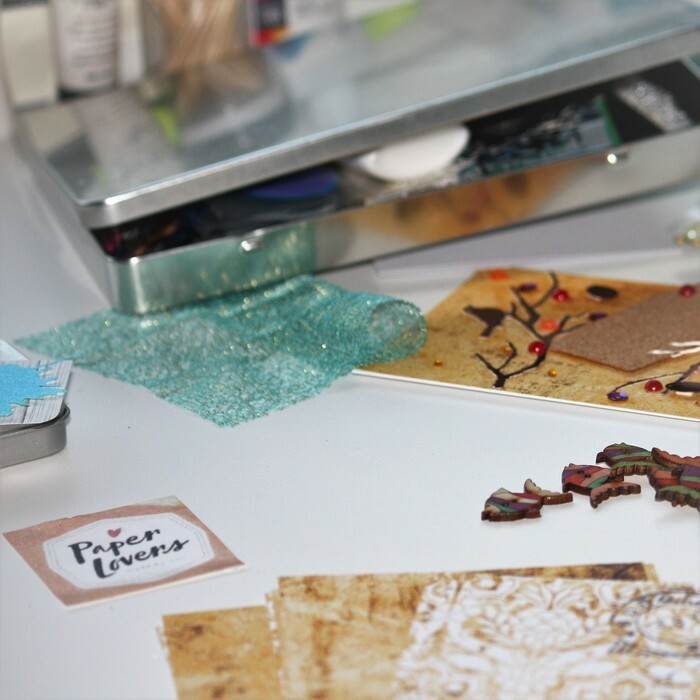 Contains 6 handmade cards with beautiful Paper Lovers embellishments, and individually chosen quotes from inspirational men and women. 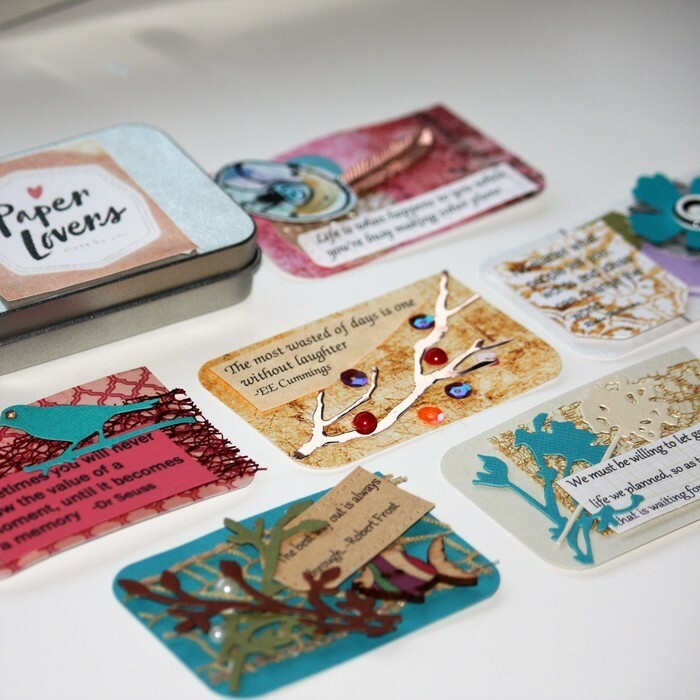 Each Tin is unique, designs and quotes may vary.